If I told you before the Griffin King of the Hammers that a LCQ driver that did not pre-run one mile of the course was going to win, would you believe me? Well that is exactly what happened. But Loren Healy did not come out of nowhere to win KOH. In 2009 he finished very well in the LCQ, only to be taken out of the main race becuase his rig broke down. 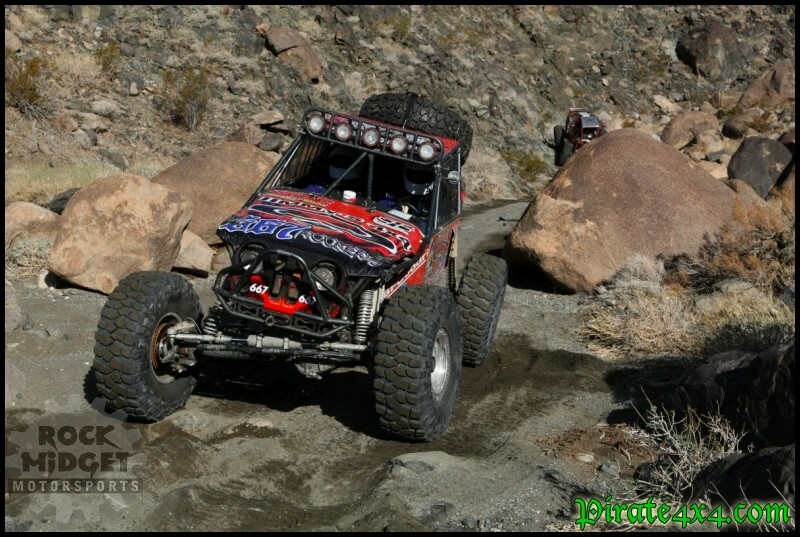 Not only is his KOH rig fast, Loren has spent countless hours on the trail wheeling recreationally and has even competed in a local desert series in New Mexico. There were people on Pirate that knew he was one to watch. 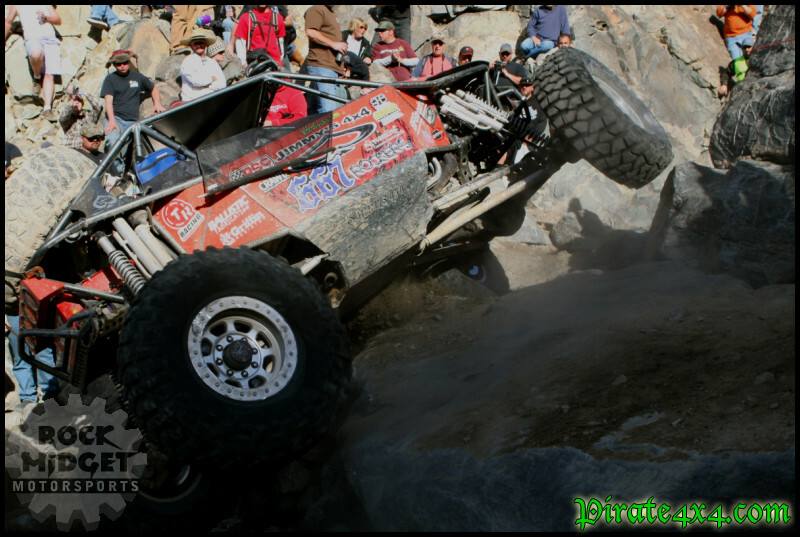 We took the time to ask Loren about the Griffin King of the Hammers and just who he is with this interview, but for an even more in-depth look at the man and his experience at the King of the Hammers, make sure you tune into the next Pirate4x4TV episode when we interview him again at Pirate headquarters! Pirate4x4.com: To begin Loren, please tell us a little about you. Just who is Loren Healy? Loren: I am 29 years old and I live in Farmington, NM. I am married with 2 daughters, 2 and 4. My co-driver Rodney and I both work in the oil and gas industry here in Farmington. 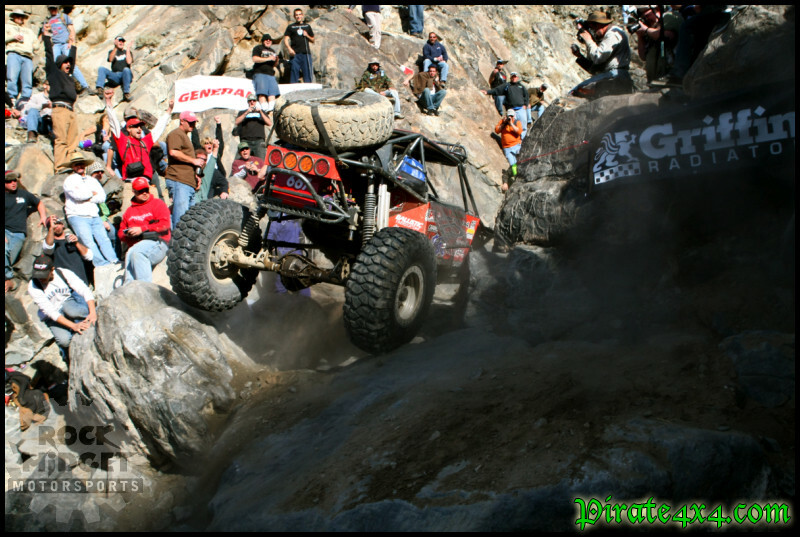 Pirate4x4.com: Do you wheel recreationally? How long have you been wheeling and what trails do you frequent? What rig do you wheel on the trail? Loren: We rec wheel every weekend when it is warm enough. My house is .5 miles from the entrance to Choke Cherry Canyon. We usually take 3 or 4 trips a year to Moab, Phoenix, St. George, etc., but Farmington is my favorite place to wheel. My KOH car is my only car and will get beat on every weekend it isn't racing. I started about 10 years ago with a TJ on 35's, but have constantly upgraded my rigs by buying and selling them to the point where I now have this current buggy. Pirate4x4.com: What trails are on your "bucket list" of trails to do? For example, have you ever been on the Rubicon, etc.? Loren: The Rubicon is probably the top of that list, although I would like to make it back east to see what all the hype back there is about. Pirate4x4.com: Outside of four-wheeling, what other interests or hobbies do you have? Loren: What else is there other than wheeling/racing? I love hanging out my daughters, they are awesome. We spend time snow boarding or hanging out at the lake, but wheeling is my passion. My 4 year old goes out with us all the time wheeling. Pirate4x4.com: How did you first get involved in rocksports competition? What other events have you competed in? Loren: LCQ was my first event I had ever driven in, I spoted for Rodney in a pro-rock event before that but I had no driving comp experience other than KOH. We are running a grass roots series in New Mexico called NMODL which I managed to place in very well this year. 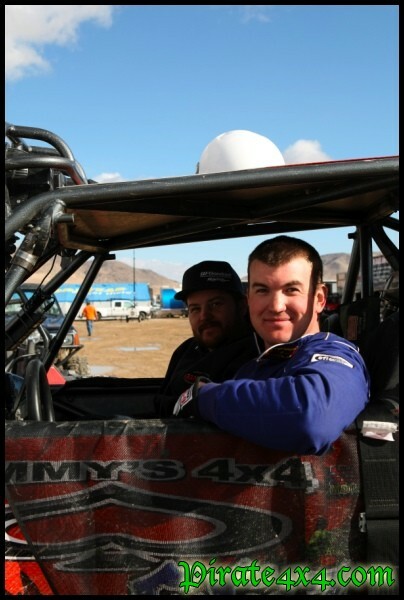 Pirate4x4.com: Who is you co-driver and how did you guys end up teaming up? Loren: Rodney Woodey grew up here in Farmington and we always had mutual friends even back when we were in high school. We both started getting into wheeling about the same time and both always had that lead foot, beat the snot out of your buggy personality so it just made sense to team up to try KOH! Pirate4x4.com: Last year's King, Jason Scherer is very active in land-use, and already you have posted on Pirate4x4.com a "King's Commandment" on an issue. You really earned my respect for doing that as first thing as the King. What do you think the average wheeler should do in order to keep our public lands open to the public? Loren: Stay active and on top of the issues, we are fighting to keep Choke Cherry open from a land grab here in Farmington right now. We will all be in private parks if we don't stand up for ourselves and make our voices heard. Pirate4x4.com: Who are the 667 Rockers and what is your connection there? Loren: 667 rockers is a very tight group of 8-10 guys who wheel and take trips together. It's the club that I wheel with. The name carried over from Josh West and his professional snow boarding career. Pirate4x4.com: How did you end up teaming up with Randy Rodd and Jimmy's 4x4? Loren: Randy and the crew are like family to me and the rest of the 667 Rockers. When I started in my TJ it just wasn't as capable as what I wanted so I went Randy and he went crazy on it. Then after 6 months I was bored with it and he built me my first of 3 turnkey buggies. We have had a great friendship for a lot of years now. They are great people. 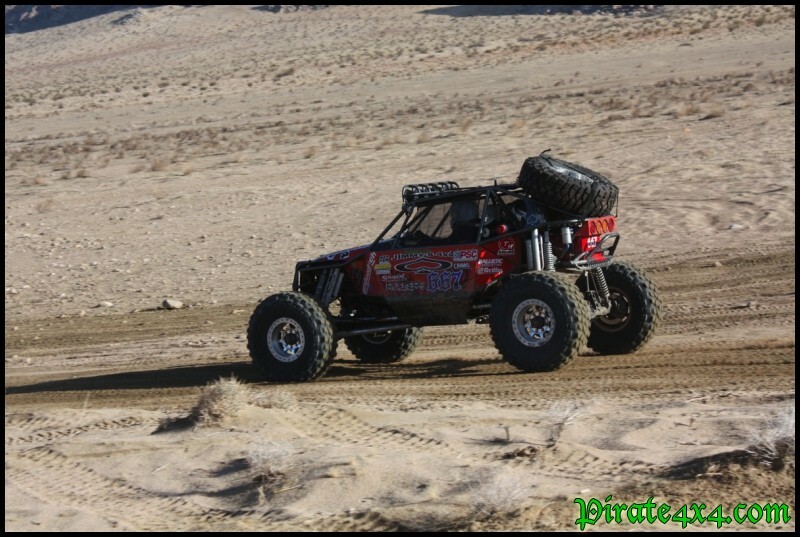 Pirate4x4.com: Last year you took 2nd in the LCQ, but then a rear output shaft took you out of the main race. Since this year's LCQ was much longer, was it more difficult? In your opinion, which part of this year's LCQ was the hardest part? Did you have to do anything to the rig in the time between the LCQ and KOH? Loren: I was bummed to not be able to drive the water fall on the second day due to the weather so I guess that would be the hard part. That car is amazing, we ran one of the NMODL races right before KOH and all we needed to do was change the oil. After the LCQ I raised my belly height a little to help me get through the rocks but that was the only thing we worked on the whole week, in fact I just started looking at the car to start getting it ready for the next NMODL race March 6th and other than general maintenance it is ready to go. To me that says a lot about the toughness of the Jimmy's buggies. Pirate4x4.com: What did you do in order to prepare for this year's KOH? How much time did you spend behind the wheel practicing in your KOH rig? Loren: Well, We spent countless hours working on the new buggy and I competed in a local event called the NMODL winning it overall, but as for pre-running in JV? I didn't even drive a mile of the course beforehand. All I knew was what I ran last year in the LCQ: Backdoor. Pirate4x4.com: There are a lot of drivers in RockSports that I really admire and look up to. Maybe that's because I am not a competitor and more of a fan, but looking at the line up of teams and driver's in this years KOH, who do you really respect and look up to? Loren: There are so many names of drivers that I respect and look up to, I would hate to mention any for fear of leaving someone out. But I will have to say it was humbling running in the same race with drivers such as Shannon Campbell and Jason Scherer. I really respect Travis Carpenter in the MFS 4405 land-use buggy for raising so much money in the race-a-thon for land-use. Pirate4x4.com: Who built and planned out your KOH rig for 2010? Since your 2010 KOH rig is a completely new buggy, was it a huge difference from last year? What made this rig so competitive in the 2010 KOH? Loren: Jason Feully, the head fabricator for Jimmy's designed the chassis and set up the suspension with a lot of my input. I was at the shop a few times a week and would say this is where I want this, and we need to change this and that. I think I drove them crazy but It worked out in the end. Pirate4x4.com: Jimmy's 4x4 had a lot of rigs in this year's KOH. Logistically, was it tough being part of such a big team? How did you guys manage to support so many rigs and who else was a part of the team this year? What was it like having Brian Deegan as a team-mate? Loren: It is great being part of such a huge team! I hope it is even bigger next year. Everything ran smooth for us despite having so many vehicles to support. Brian Deegan as a teammate was just plain awesome. I had some pre-conceptions, but those were shattered right away. He is an extremly cool guy and was very easy to get along with. Being around such great people just made the experience so much better, if that is even possible. Pirate4x4.com: On Friday morning before the race, many drivers have some type of pre-game ritual they go through to mentally prepare. What do you do to prepare yourself on race day? What type of mind-set do you have? Loren: That's funny! I just couldn't wait to start racing, and I was a little on edge Friday morning. But as soon as that flag dropped all the BS was gone, the jitters instantly went away and I just relaxed and had fun. Pirate4x4.com: How would you describe your style of driving? Are you a "balls to the wall" driver, or did you just race to finish? I guess what I am asking is, just hard did you push it in KOH? Loren: Rodney says we were conservative 90% of the race and out of control driving over our heads the other 10%. I like to think I am a smart driver and know when to lift to keep the car together. We would have ran harder but remember, I had never driven any of the rock trails at the Hammers until race day and didn't pre run 1 mile of the course. Pirate4x4.com: In your opinion, what was the hardest part of KOH? Was there any one section of the race that you were worried about tackling? What part of the race really stood out for you? Are you more at home in the rocks or in the desert? Loren: Kinda embarrassing to say, and my friends tease me about it, but I am horrible at rock crawling. Here in Farmington, we have a lot of very steep walls that you have to get into the throttle to climb but not a whole lot of technical wheel placement. I would have to say I liked the desert better. I'm addicted to driving fast now. Pirate4x4.com: Was there a point during the race that you began to think, "I just may be winning this thing!" Did that change the game plan at all for you or change how you drove? Loren: Not until we crossed the finish line and Dave said, "you, Derek, Brad, and Rick came across the finish line within 2 minutes of each other we don't know who won." We didn't listen to any other channels on the radios other than ours and ran our own race. If I would have known it was so close, there were so many places I could have pushed it harder, but I'm sure everyone would say the same thing. 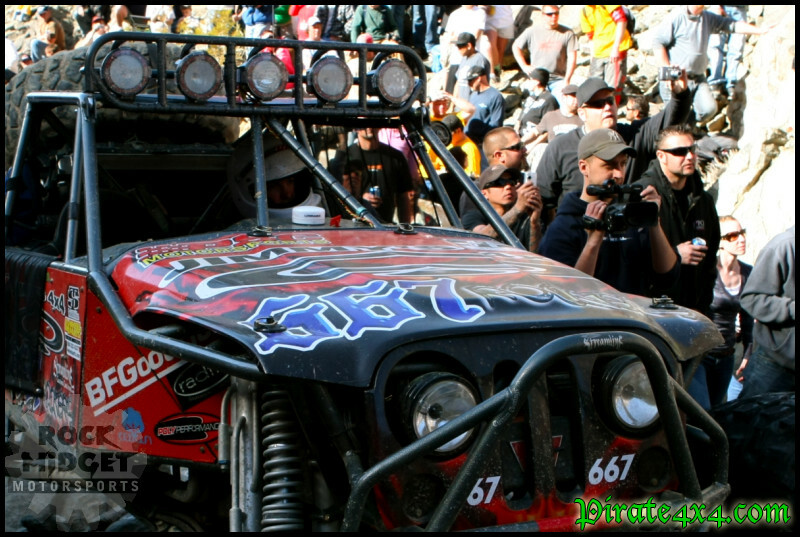 Pirate4x4.com: Just what did winning the King of Hammers mean to you personally? Loren: I'm still in total disbelief. I still don't know how we pulled it off. We met so many great friends this year that was best part of it. Pirate4x4.com: So what's next for Loren Healy? What are you plans for the rest of the year in terms of competition? Loren: The rest of the NMODL series which we are currently 1st in the "rock race" class and 1st overall. We are also going to run the Grand Slam and try to make the IEC series. Those races back east are going to be very tough to get out to, so if some of you west coast guys want team up to get our cars out there let me know! Extras: PCI 8" GPS and communications.